Making Memories to last a lifetime - Planning a Multi-Generational Disney Vacation! 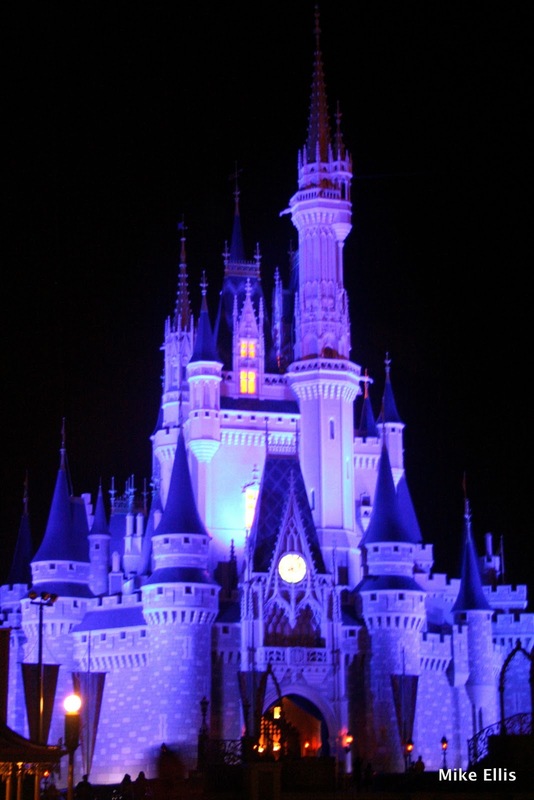 Making Memories to last a lifetime – Planning a Multi-Generational Disney Vacation! There is nothing quite like taking a family vacation to Walt Disney World. The excitement that comes with planning the trip is almost half the fun. How long do we stay? Where do we want to eat? Should we do the Disney Dining Plan? These are some of the questions that need answering. However, there is a whole other dimension that gets introduced when you start planning a trip involving multiple families, and even multiple generations of people going. Just like planning your own family vacation, the excitement that builds as you plan it with another family is perhaps even greater! Here is a real life example that involved myself, my wife and daughter, my niece and her boyfriend, my sister-in-law and her husband and daughter, AND my sister-in-law’s Mother! In 2010 when my wife and I took our daughter to Disney World for her birthday, we also invited and brought along my niece. That was an incredible trip, in part because our daughter didn’t know that my niece was coming until she showed up the day before our trip, and also because Steph hadn’t been to Disney in about thirteen years! The trip was phenomenal, and while we were there, we took the plunge – we purchased our Disney Vacation Club at the Villas at the Grand Californian Resort & Spa! Part of what made that purchase phenomenal was that we received double points, meaning the 220 we purchased were doubled, we banked them, and we have 440 to spend! We already knew what we were going to do with those points! We had previously tried to convince my sister-in-law’s family to take a trip with us, but with the economy the way it was, they declined. Then one September day we had a little get together with them and convinced them that they needed to come with us next year! How could they say no when we would be able to book a two bedroom suite at Bay Lake Towers with our points? That day in September, we decided that our vacation dates would be June 17th – 24th, 2011. We selected those dates because my daughter’s 10th birthday fell in that window. There is nothing quite like being at Walt Disney World when it is your birthday! Lastly, we made the decision that we will drive down from North Carolina in one day – it is about a ten hour drive. Planning Tip #5: Remember, it is everyone’s vacation! One of the biggest things to remember when you are planning a vacation is that, even though you are going to Disney World (or Disneyland, etc.) you need to remember that, while you are going in part to give your children a dose of that special Disney Magic, your trip isn’t just about your kids. Everyone in your travel party has something that they want to do and get out of this trip, and it’s your “job” as the travel planner to remember to make sure that everyone is able to enjoy the vacation as much as possible. The key to this is to get an idea of the types of things that your party are looking to do; find out if they want to sit and go swimming all day, or find out if they want to get up at rope drop and go to the parks early, or find out if they want to sleep in some. Find out who likes what rides, and which of your party can’t handle thrill rides beyond “its a small world.” Lastly, find out who likes to eat, what they like to eat, and give them ideas on where you think they would like to eat. As I said in tip #3, the more communication you have with your travel party, the better off you will all be! These five tips are but some of the ones that I came up with, and I know that there are others that I haven’t even thought of yet! What is your top tip to share to have a great multi-generational Disney vacation? Please share it with all of us in the comments, or on the Facebook Page! Thanks! A Dad on The Disney Moms! Great tips for planning trips with different age groups. I always find Planning Tip #2 is the hardest. A lot of the time they don't understand why you need to plan like this. Patience is the key! Thanks, Mary! You are right, there is so much detail you need to have when planning, number two is often the hardest. Thanks for commenting! Previous Post: Disney In Pictures: Disney From Above! Next Post: Exploring the new Fantasyland!